You might want to be a bit careful about what you tweet about, because Google has made tweets front and center in the search results for both personal names and company names. 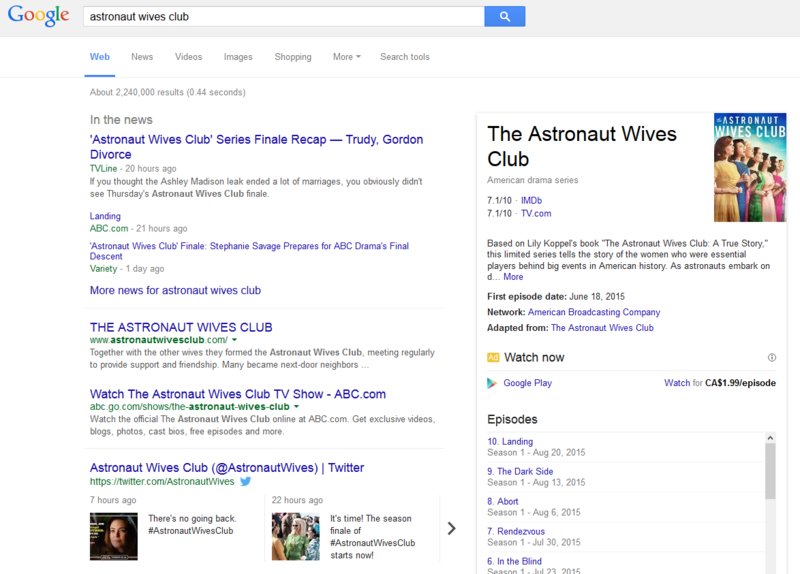 Google now displays tweets in real time for a wide variety of searches now. 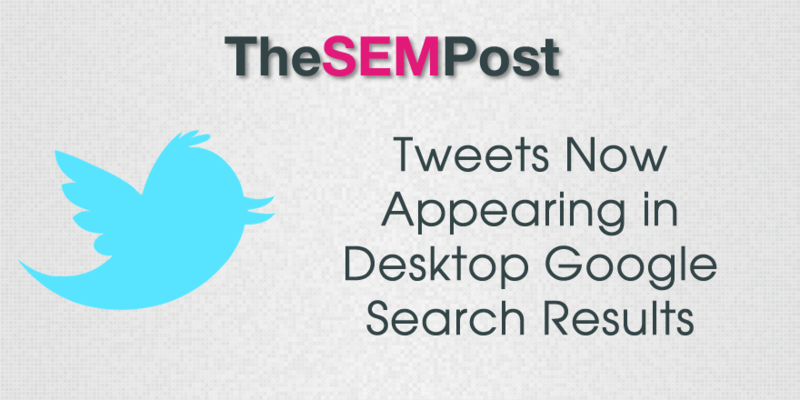 While tweets have been appearing in mobile search results for some time, they weren’t integrated with desktop too much. 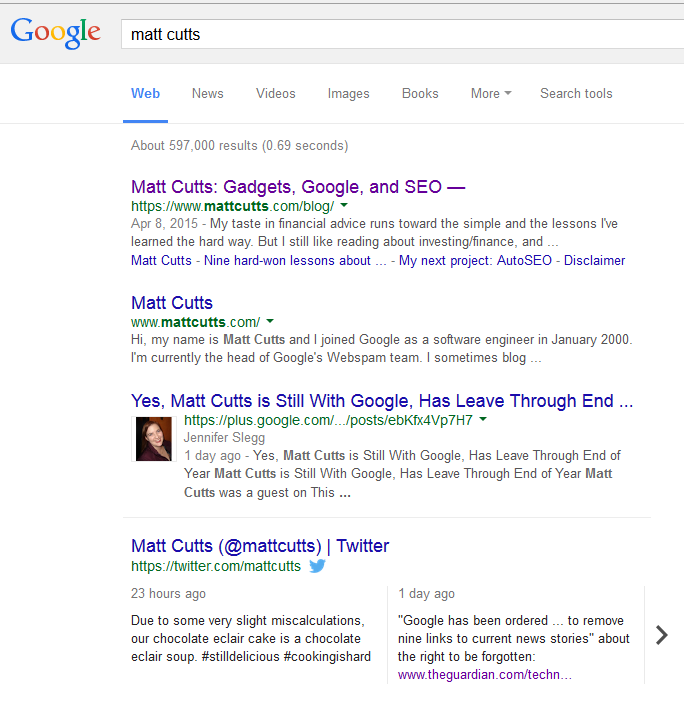 This changed Friday with expanded exposure of tweets in the desktop search results too. Here is a result for me, with the tweets appearing at the top of the page. And how real time is it? I searched after I tweeted out this article and captured it as of 7 seconds ago, although it took another few seconds for the image to catch up. For others it appears lower down on the page. They are also displayed for things like television shows as well. 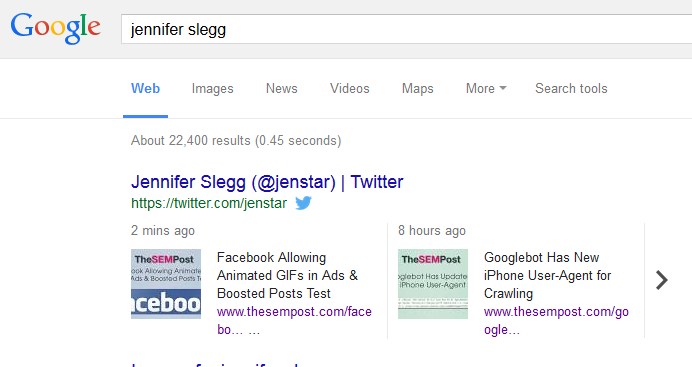 You can also search for popular hashtags and see the results in Google too. 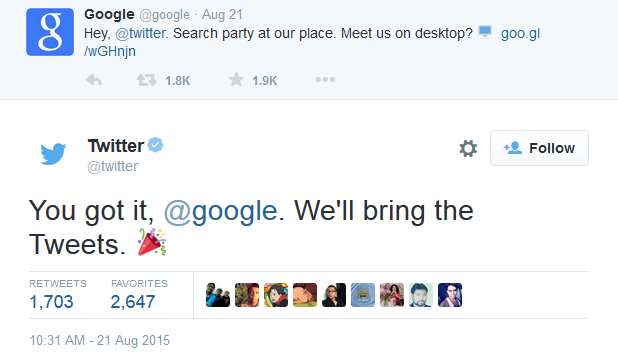 Google and Twitter also had the following fun tweet exchange as well. One thing that is very apparent is that people might want to watch what they say, particularly if tweets are hitting the web in real time. What happens when tweets are deleted isn’t clear… do they immediately vanish or are they archived from when they are indexed? I am sure it won’t be long before someone makes a faux pas and puts it to the test!